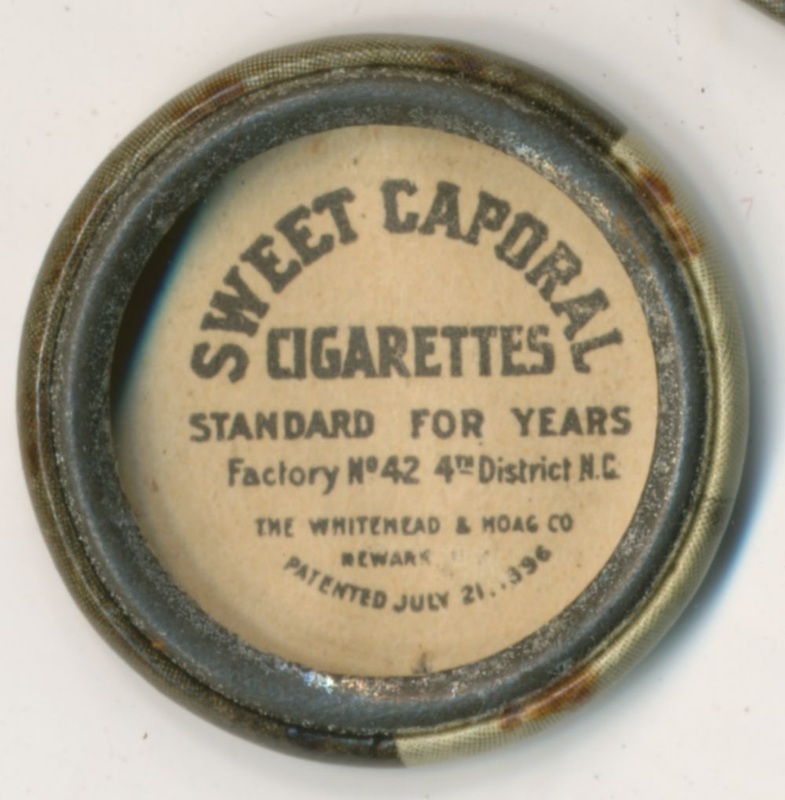 Set Description: Sweet Caporal Tobacco offered these pins starting in 1910 through 1912. 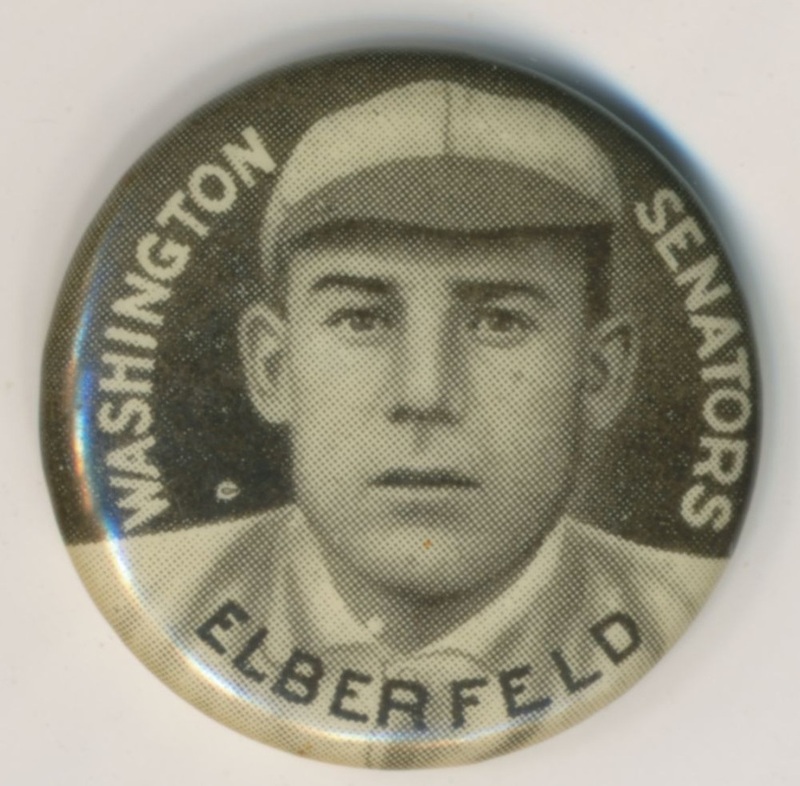 The fronts are player portraits with name and team designation. Backs are not numbered and has a colored paper inserted that carries the Sweet Caporal advertisement. 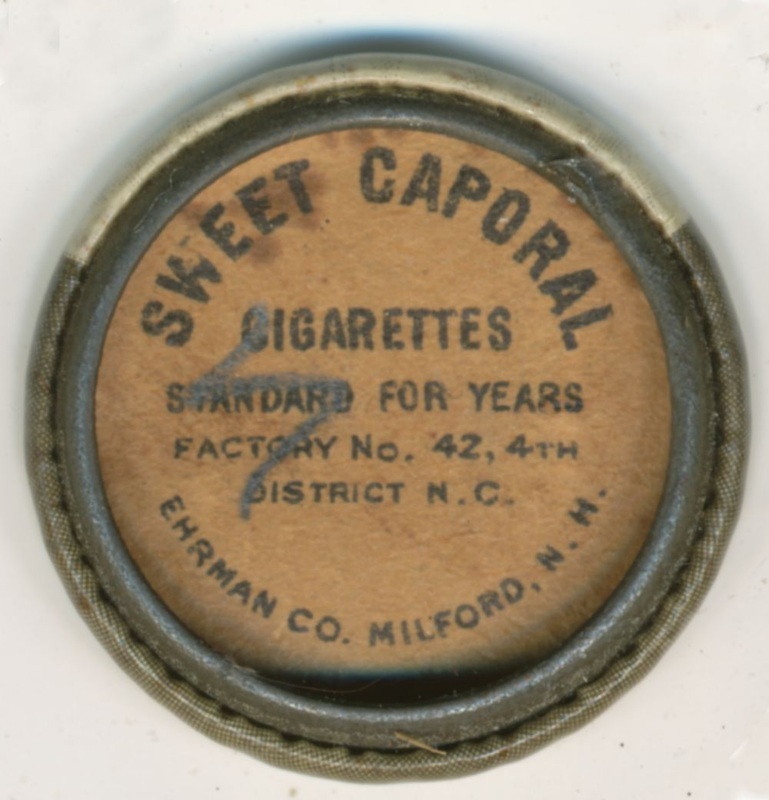 American Tobacco Company had more than baseball card premiums in production in the early 1900s. 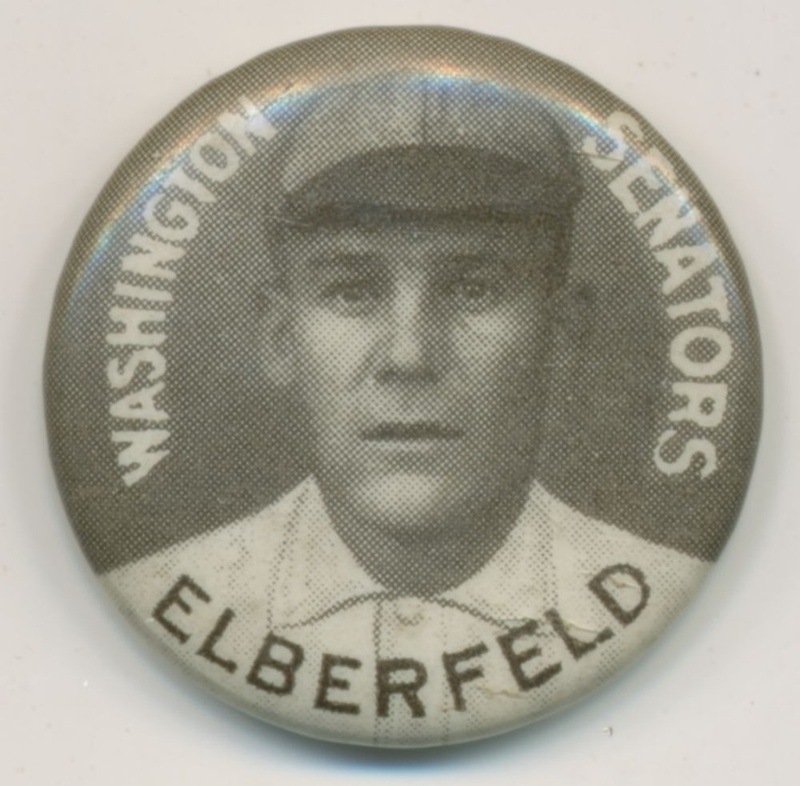 From 1910-12, the Sweet Caporal brand produced 7/8" sepia-colored baseball player pins.